A rain garden is a shallow depression planted with deep-rooted native plants that captures rainwater runoff from impervious urban are-as, like roofs, driveways, walkways, parking lots, and compacted lawn areas, giving the water the opportunity to infiltrate the soil. By capturing the stormwater before it reaches a storm drain or ditch, rain gardens can cut down the amount of pollution reaching creeks and streams by up to 30%. In addition to the improvement in water quality, rain gardens also provide habitat for birds and beneficial insects, reduce pest and harmful insects, and can be used to teach children and adults about water quality practices. The Coles Co. SWCD is selling a large variety of native plants through May 11th that can be used to create a rain garden. 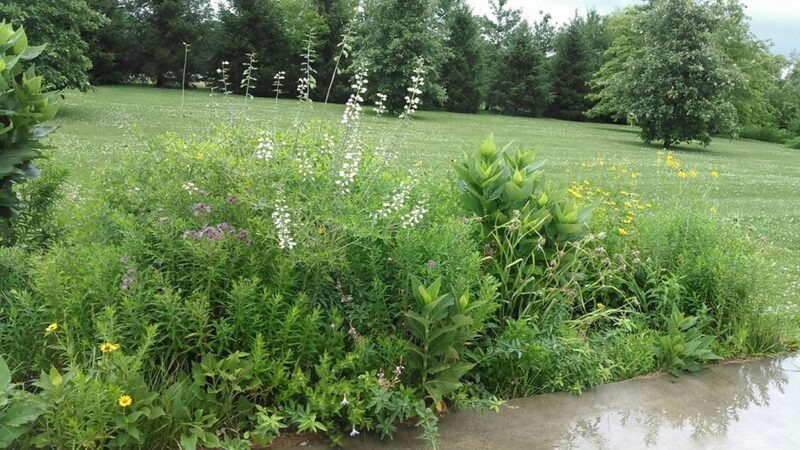 Other resources may also available to assist landowners with planning a rain garden. Give us a call!